Revera engaged Litcom to conduct a review of our IT function and to help in identifying areas of improvement, necessary to support our 5-year strategic plan. In addition, Litcom performed the role of an Interim CIO while the organization conducted a search for a new full-time IT leader. Litcom’s team worked with our IT management team to prepare a comprehensive view of the current state of the technology environment and then worked collaboratively to develop specific strategies and architectures to support the future direction. They managed and facilitated the development of a set of plans and budgets necessary to support these plans while also providing day-to-day operating oversight. As well, Litcom established a project prioritization process and re- instituted an IT Steering Committee. 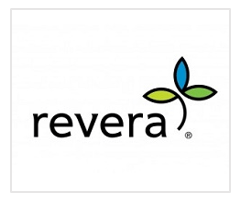 Revera is a leading North American provider of accommodation, care and services for seniors, built on a 49-year history of enhancing lives with choices in community living, warm hospitality and compassionate care. Meeting the diverse needs of seniors and their families drives our 26,000 dedicated employees. We provide a range of leading in-home health services, and offer innovative programs and care options at our 220 retirement residences, long-term care homes and skilled nursing facilities.